The facts and figures tell a great story on the changing face of the way the people of Africa are paying for their goods and services. Not only do 40% of the South African population live in rural areas, but a massive 70% of the adult sector is considered ‘unbanked’. So, here’s the thing, it may well be that the adult majority in all of Africa have long used use cash and not banks, but everyone and his wife have mobile phones. More than that, they have smartphones and are becoming familiar with data-driven applications and the new kid on the block is mobile money account ownership. It didn’t take the Mobile Network Operators (MNOs) long to emerge as serious challengers to the long-standing banks and credit unions. Providing the perfect blend of convenience and low-value, inexpensive payment options, a.k.a. mobile money. By the end of 2016, 277 million registered accounts were recorded on the African continent. And no wonder, with great ease, the population understand their phone number is also their account number so, all that’s left is to decide which service provider to hook up with. Of course, it’s still early days and the majority of account holders use mobile money for limited services such as making or receiving electronic payments. Few yet understand using it a platform for saving or for paying school fees or for shopping. Give them time. The day will come before we know it when cash will be more and more relegated to the tales of yesteryear and the cashless smartphone fraternity reigns supreme. Alms are traditionally associated with providing money to the poor and its not far off to understand the new relationship that is emerging between previously disadvantaged people and those considered below the poverty line to be acquiring mobile phones for keeping their meagre earnings safe. With entrepreneurs on every street in Africa, they are driving the bus and making real change happen. It’s up to financial institutions now to get to understand the needs and preferences of the ‘unbanked’ populace and ensure they don’t drown in the oncoming Tsunami that mobile money is fast becoming. That there are 520, 000 registered mobile money outlets across the continent is a fact no one can deny. In a richly diverse land, such as South Africa, the poorly developed infrastructure makes travel to get into town to open a bank account something akin to mission impossible. That, plus the presence of hundreds and thousands of repurposed containers serving as mobile phone outlets – whether for air time and data purchasing or simply recharging, a perfect environment for the mobile money phenomenon has been created. South Africa’s ten million unbanked individuals are no longer on the short end of the stick thanks to extensive mobile phone penetration. Mobile money is an incredible value add to such communities. The good news is that the mobile money movement benefits everyone – yes, even the banks in the end. Visa cards can be linked to mobile money accounts that are capable of earning interest on balances above R 500. The same card facilitates ATM withdrawals, in-store swiping for cash in certain instances as well as the bonus that wages can be paid into such accounts. So, why not join the caravan of happy mobile wallet holders and make mobile money your new best friend, your financial advisor, your rainy-day money saver and transition with the rest of Africa into the cashless platform that is sweeping the continent. 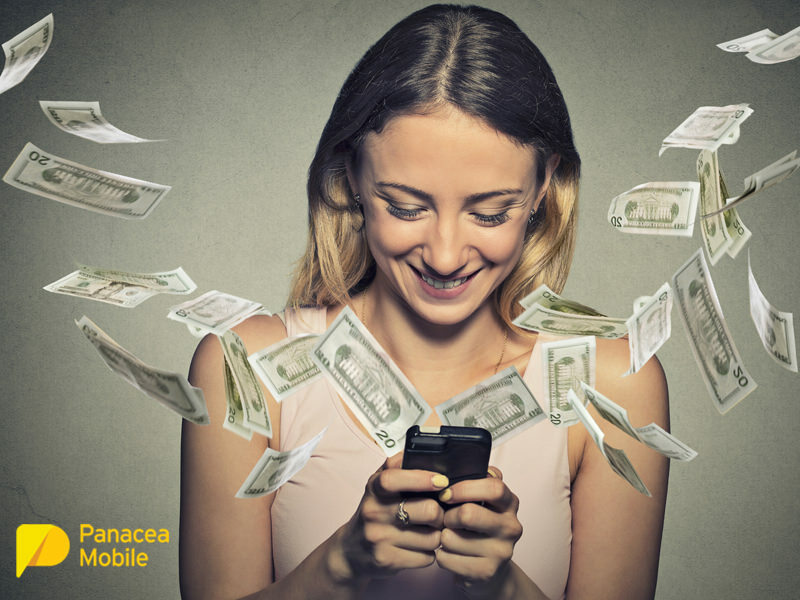 Panacea Mobile can assist you. Please contact us so we can chat about how best to help.